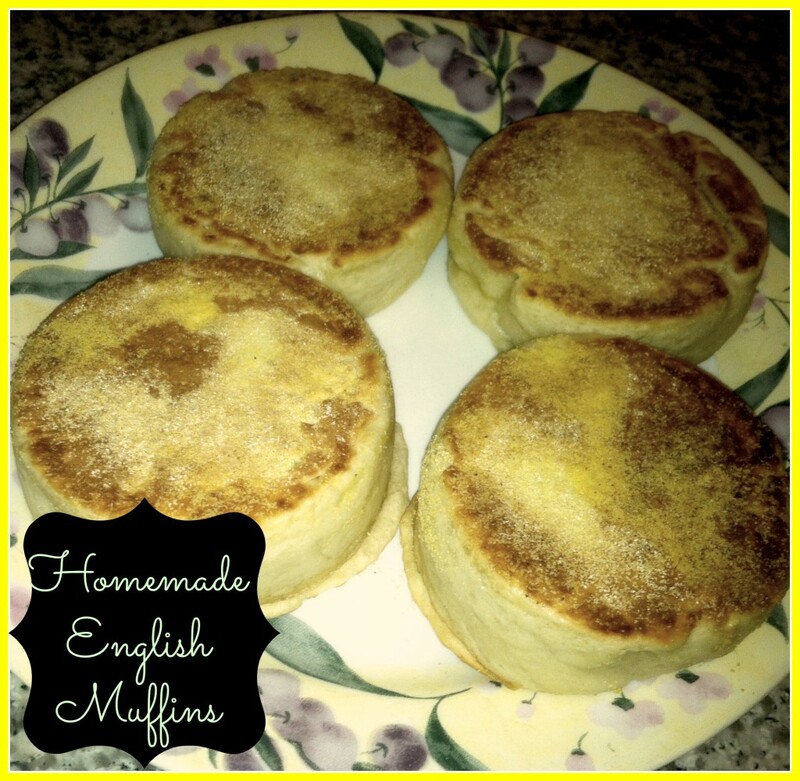 English muffins are a favorite breakfast item in our household. I tried one recipe, and it failed miserably. This recipe is based off Alton Brown’s recipe which can be found on the Food Network site. 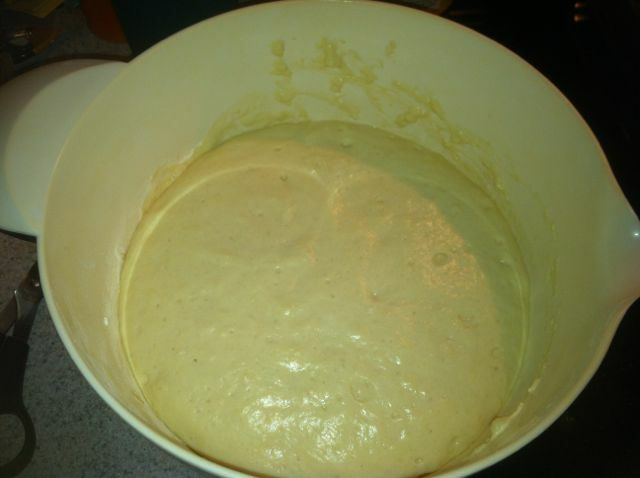 The first thing you want to do is combine the 2 1/4 tsp yeast, 1/3 cup warm water, and 1/8 tsp sugar. Let this sit for 7 minutes to proof. In a separate bowl, combine the 1/2 cup milk powder, 1 Tbsp sugar, 1 Tbsp vegetable shortening, 1/2 tsp salt, and 1 cup of very hot water. Stir until dissolved. I have not been able to get the vegetable shortening to completely dissolve but have not had any problems with the recipe. Also, I ran out of powdered milk for this last batch. I used 1 cup of 2% milk in place of the powdered milk and hot water. 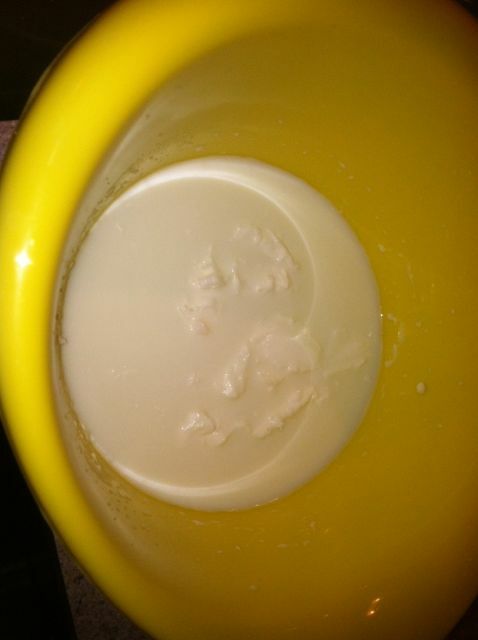 I heated the milk in the microwave until warm. 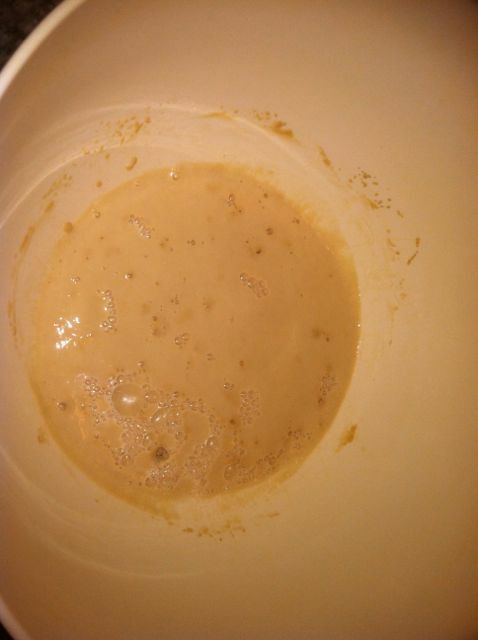 After the milk mixture has cooled a bit, add it to the yeast mixture. Stir to combine. Then add in your 2 cups of all purpose flour, sifted. This recipe works best with all purpose flour. Stir to combine the flour with the wet mixture. Cover with a towel and let rise for 30 minutes in a warm and draft free environment. Right before the rise is over, I begin to warm up my electric griddle. I find this is the easiest way to get these cooked. I set the temperature at 300˚. If you are cooking these on the stove top in a pan, you will have to monitor the temperature closely and also will need to decrease the number you do at one time. I also spray my english muffin rings with non stick cooking spray. When the rise time is complete, add in the remaining 1/2 tsp salt and stir quickly. Then you are ready to cook them. Place the rings on the griddle. I then dust a bit of cornmeal in each ring. Using an ice cream scooper, I place 1 to 1/2 scoops of the mixture in to each ring. 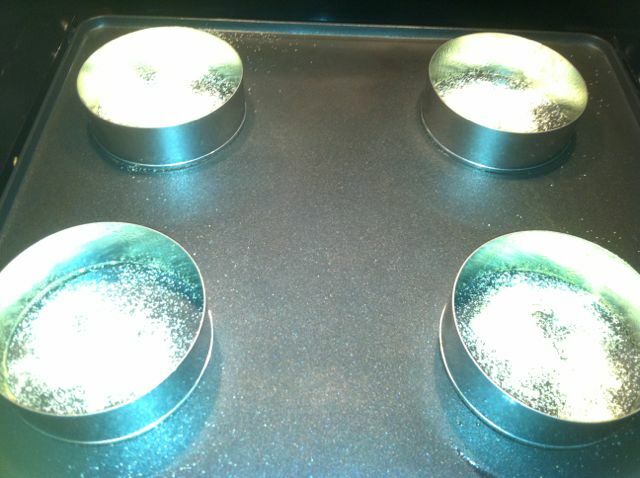 You want to cover the rings with an old baking sheet and then cook for 5 to 6 minutes before you flip them over. Flipping is the interesting part – it takes a bit of practice to keep them from flying out of the rings. I use a spatula to flip the rings. Cook for 5-6 minutes on the other side. When they are complete, you can use a pair of tongs to remove the rings and then place them on a cooling rack. If you make them to thick and you don’t think the middles are cooked through, you can finish them in a 300˚ oven for about 10 minutes to cook through. I then freeze these once they are cooled and pull them out when we need them for breakfast. 2 cups all purpose flour, sifted. 1. 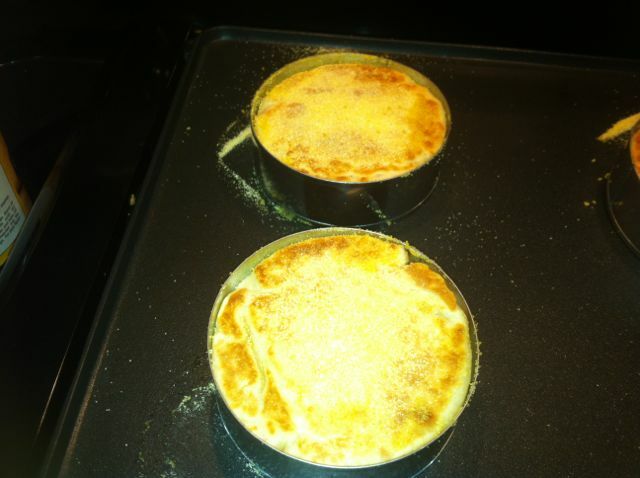 In a bowl combine powdered milk, 1 Tbsp sugar, 1/2 tsp salt, 1 Tbsp shortening, and 1 cup hot water. Stir until dissolved. 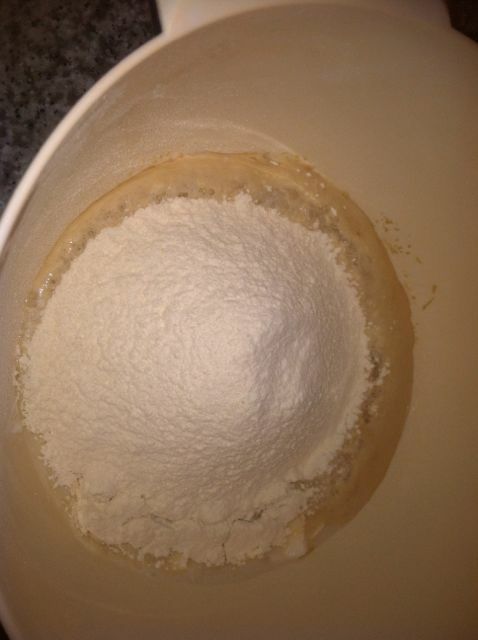 In a separate bowl, combine the yeast, 1/8 tsp sugar, and 1/3 cup warm water (follow the temperature on your yeast). Let proof for 7 minutes. 2. 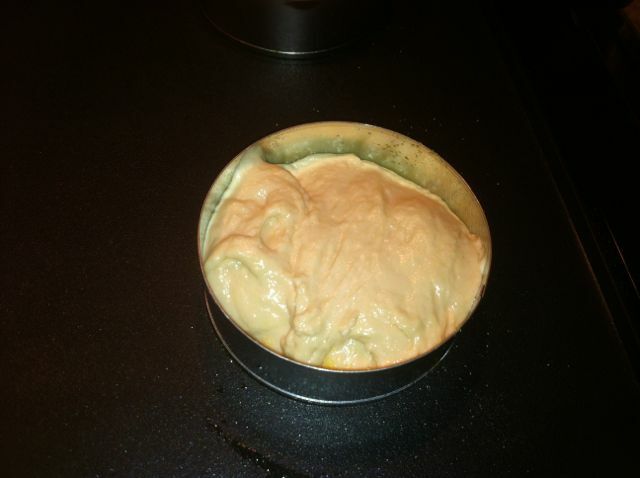 Combine the milk mixture with the yeast mixture. Add in the sifted flour and stir well with a wooden spoon. Cover with a towel and let rise for 30 minutes. 3. 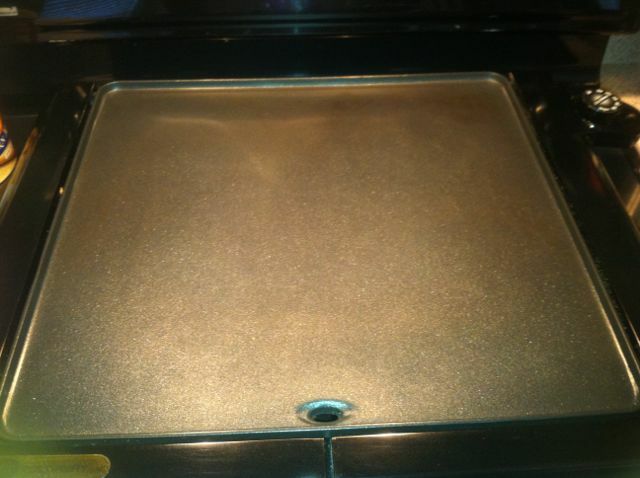 Preheat griddle to 300˚. Spray the english muffin rings with non-stick cooking spray or use butter to keep the muffins from sticking. Place the rings on the griddle and sprinkle a little cornmeal inside. 4. Add the remaining 1/2 tsp salt and beat thoroughly. Using an ice scream scoop, place 1 to 1/2 scoops of the mixture in to each ring. 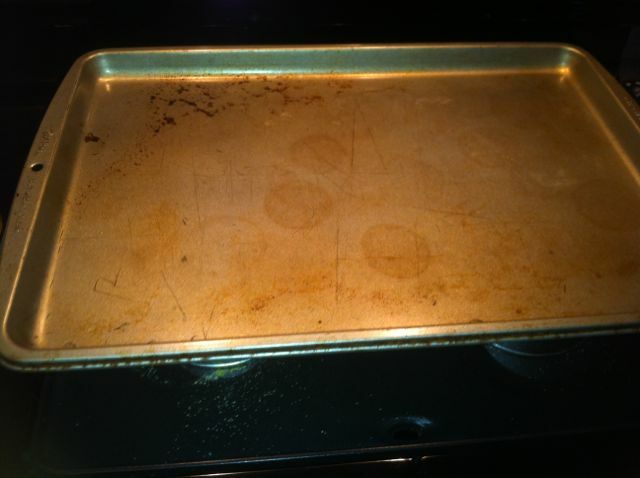 Cover with an old baking sheet and cook for 5-6 minutes. Turn over and cover again and cook for 5-6 minutes.